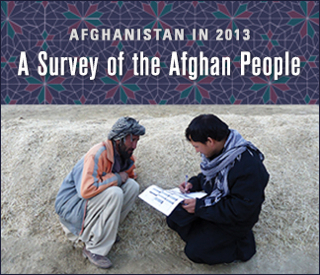 As part of a yearly program to survey the Afghan people, the Asia Foundation, today, released Afghanistan in 2013: A Survey of the Afghan People. This is the longest-running public opinion poll in the country. Afghans questioned in the Asia Foundation's 2013 survey cited insecurity (30 percent), corruption (26 percent) and unemployment (25 percent) as the biggest problems their country still faces. 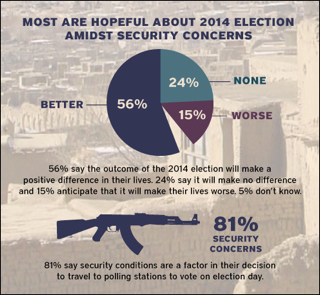 The survey is being cited widely in the press via media outlets like NBC World News and PBS News Hour. As part of the communications team, Avantgarde designed the cover, information graphics, and the advertising campaign. You can download the full report on the Asia Foundation website or view the full information graphic.